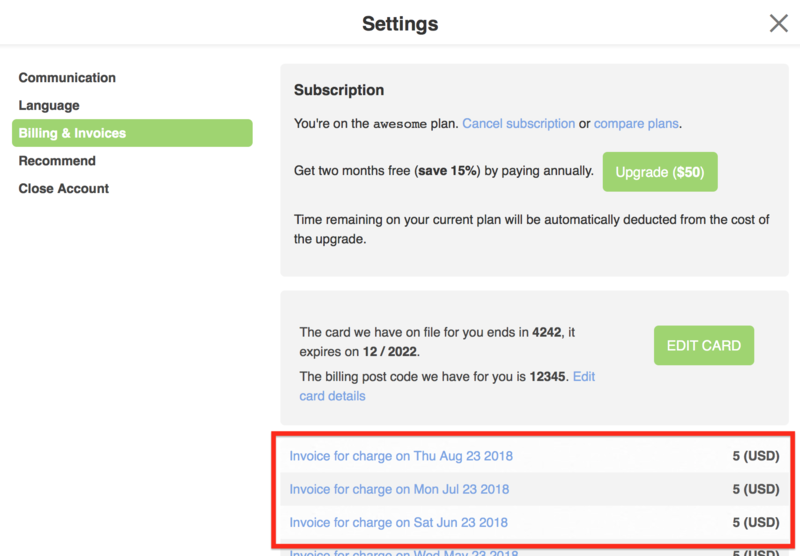 If you have a paid subscription to Coggle you can view and print an invoice for each payment in your settings page. First ensure you're logged in to your account, then navigate to your settings page at https://coggle.it/me. Select Billing & Invoices in the pages list on the left-hand side of the page. Click on an invoice in the list to view it. You must be an administrator of an Organisation to view its settings dashboard, including the invoices section. If you need to view invoices then an existing administrator of the Organisation must first make you an administrator in the members section of the settings page. Open your Organisation's settings page (the URL depends on the name of your Organisation).